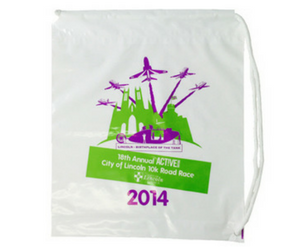 Polythene bags provide for the ultimate base upon which powerful marketing messages can be communicated. With our printing know how your message can be printed in beautiful, vivid colours with an eye catching design. Whether you’re one of many exhibition stands looking to literally stand out from the hustling bustling crowd, or you’re the high street retailer who wants to make the most of what will be a mobile billboard carried all about town… we can help. 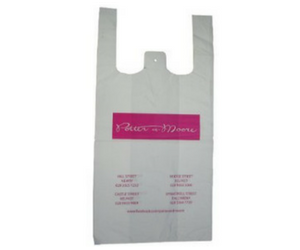 Patch Handle Bags: Our Patch Handle Bags are our most popular line and provide for a strong construction that is perfectly complemented by today’s printing possibilities. Flexiloop Plastic Bags: For a fancier style that is still strong and durable, the ideal and most obvious option is the Flexiloop Handle Plastic Carrier Bag. 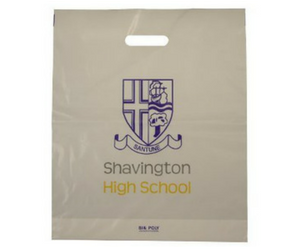 Duffle Handle Plastic Bags: Duffle plastic bags provide for the most ‘sporty’ of carriers and are as ideal a solution for the sports retailer as they are for a younger target exhibition market. 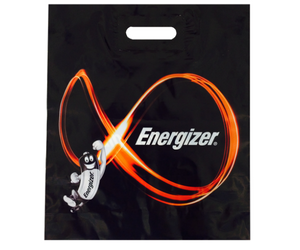 Varigauge Plastic Bags: One of our most popular bag lines is our Varigauge bags, which provide for an ideal choice for use within demanding retail and exhibition environments.  They are particularly suitable for smaller print runs. Vest Handle Plastic Bags: Vest Handle Bags are the perfect balance between strong, durable performance and the utmost in affordability. Great for higher volumes for lower unit cost items, where it is still imperative to brand. A Brand that is clearly communicated: Via a marketing medium that can include everything from your logo, your slogan and finishing upon your contact details. An environmentally friendly solution: Each and every one of our products focuses on being as environmentally friendly as possible, for strong bags and strong ethics. A UK based company that is always awaiting your call: We’re proud to be based in the UK, and our team are always happy to answer your calls and emails. We are recognised throughout the industry for our efficient and friendly service. The foundations of ensuring the very best outcome for your packaging needs are our stable, long serving, professional and knowledgeable sales team, that truly work in partnership with our customers and factories. Only accredited factories used: Through a strict initial and ongoing monitoring process that has been designed and implemented by Templecoombe Ltd, we ensure that only the factories that can consistently offer what we need in terms of the quality of products, reliability and commitment to environmental and ethical standards are used. We’re passionate about our industry and focus upon exceeding our client’s expectations. 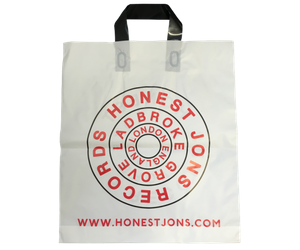 If you need bags please get in touch. We are here to help you through this decision making process. You can send the team a message via our contact page, email sales@templecoombe.co.uk or phone 01234 712121.